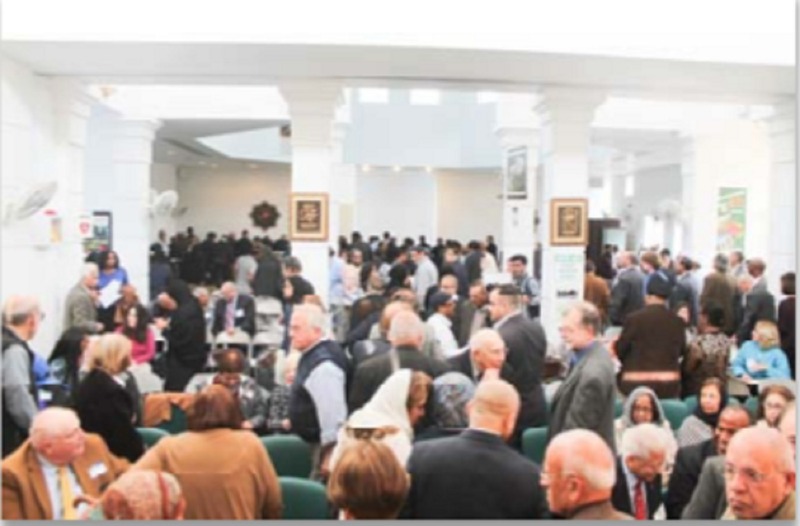 ICLI initiated the American-Muslim and Jews in dialogue in 1992 with Temple Beth El in Great Neck under the visionary leadership of Rabbi Jerome Davidson. 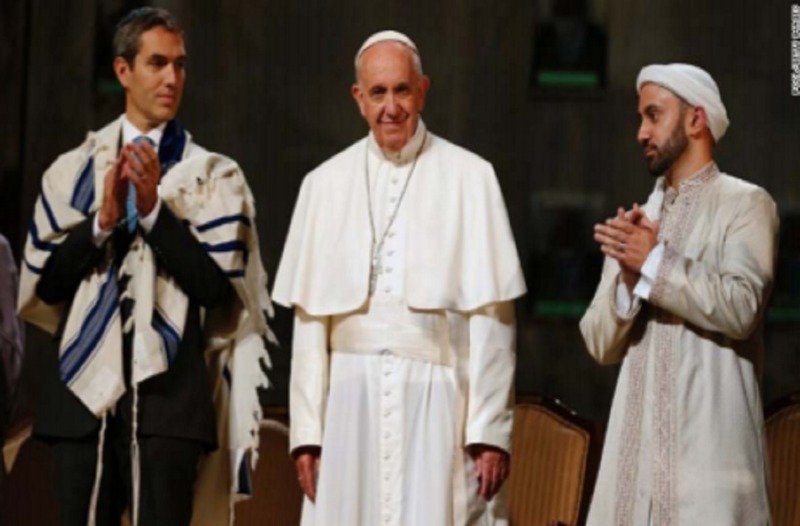 This pioneering program called AMJID was presented locally and nationally in both in Jewish and Muslim communities and Rabbi Jerome Davidson serves as a current trustee of the Interfaith Institute of ICLI. 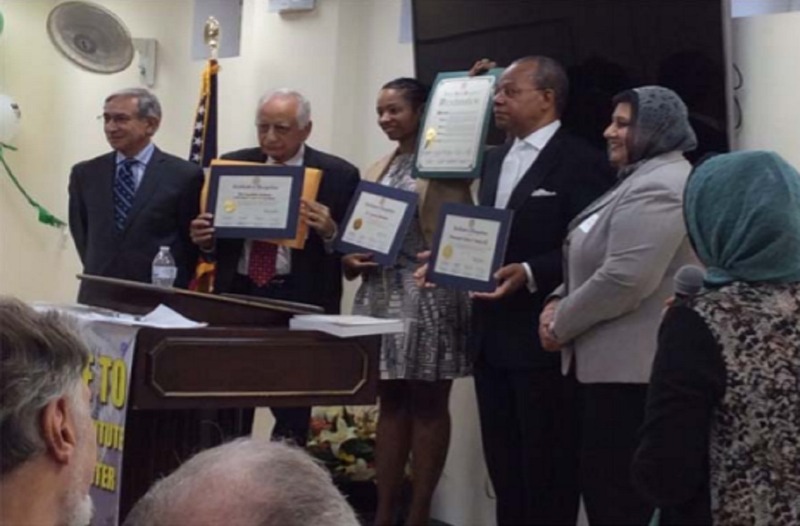 The first initiative of this NYS approved Institute was held in Oct 2011 when in collaboration with the Holocaust Center of Long Island, ICLI co- sponsored an event in which the role of Albanian Muslims who saved thousands of Jews during the Holocaust was celebrated. 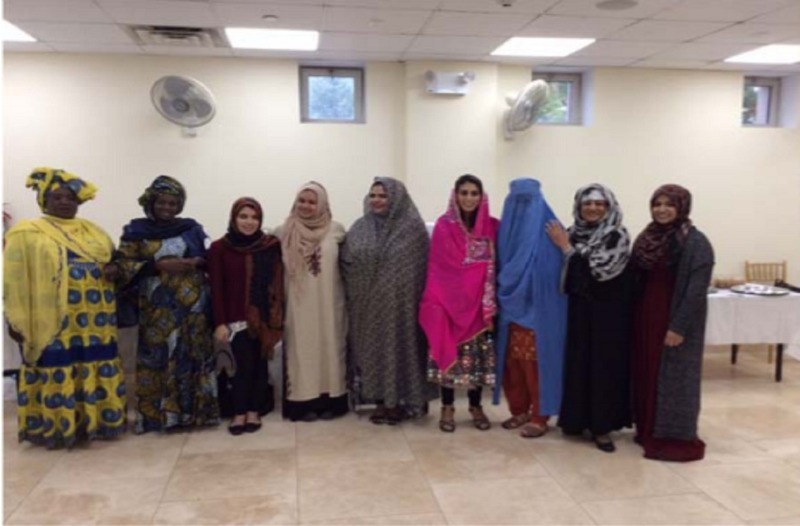 This event received extensive coverage in the local print media. The exhibit loaned by Yad Vashem was on display at ICLI from Nov 18th to 20th. 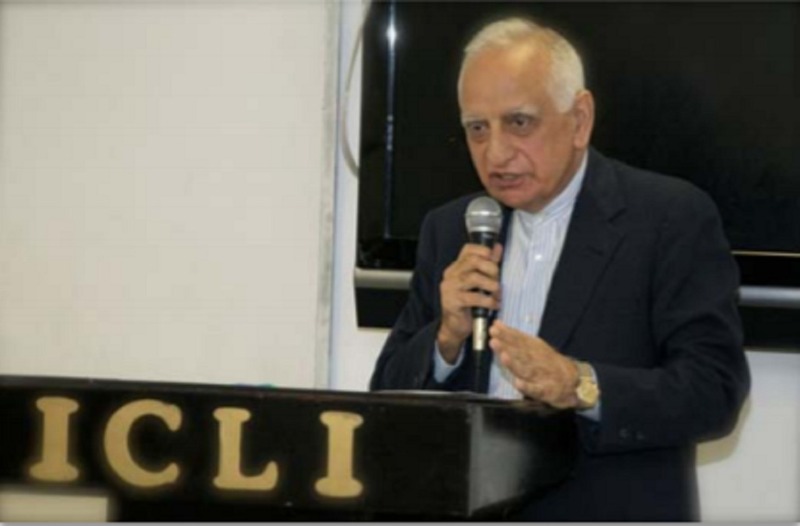 Book Discussion: Saint and Sultan with author Paul Moses on June 1st 2013. 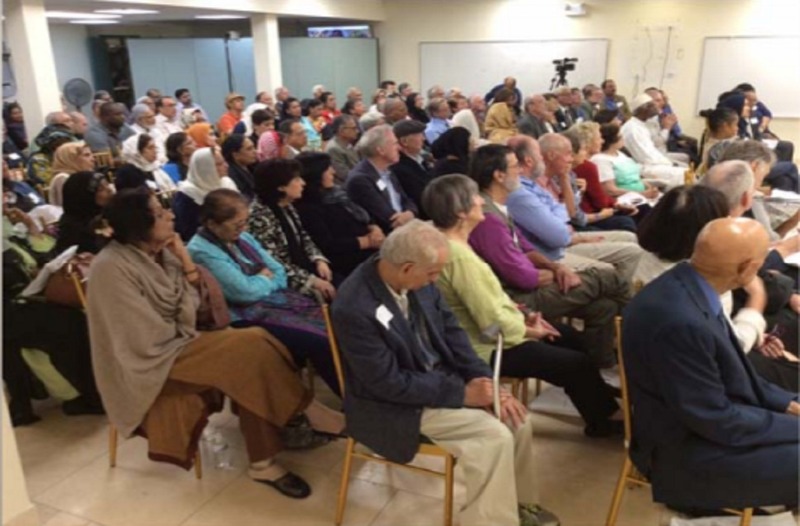 This well attended book discussion provided a deeper insight into the unique Interfaith Institute of the Islamic Center of Long Island 4 meeting between St Francis of Assisi and Sultan Malik-al-Kamil at the height of the Crusades. Several parallel lessons were drawn between that historic encounter and present day conflicts. Play — Flight of Ibis—Live play depicting the life and times of Abrahamic faith members during the Ummayad rule in Andulasia. 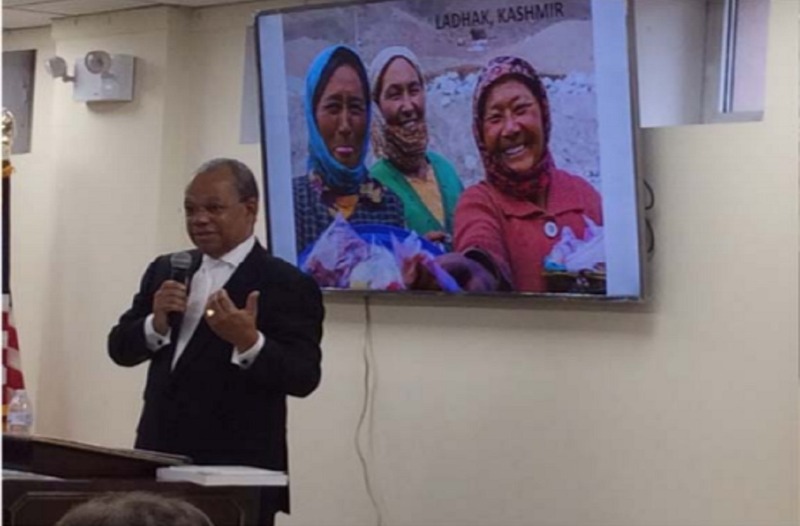 July 21st 2017 - Visit of Dr Salahuddin M Mohammad—addressed race relations and led a book discussion on his book: Bridging the divide between Immigrant and African-American Muslims by utilizing the concept of Tawheed as a catalyst.